In the course of the restructuring of its global sales organisation, Leica Camera AG is also reorganising the related management responsibilities for the German market. In future, a German sales organisation will operate alongside the various national subsidiaries in Europe, America, Asia and Australia under the umbrella of the global sales unit. 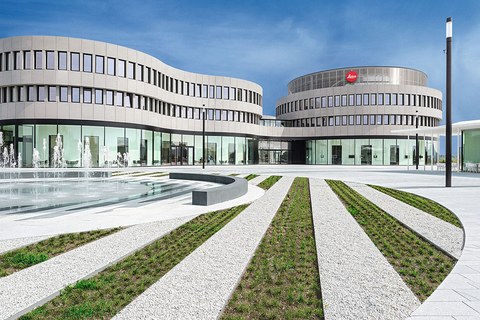 This global realignment of sales activities will create even stronger links between the markets in which Leica Camera AG is represented – by national subsidiaries and trading partners – and the company headquarters in Wetzlar in the German state of Hesse. The objective of this is the further expansion of the national subsidiaries with a view to increasing global market penetration. In recent years, Leica Camera AG has bucked the trend in the worldwide photography market. This is above all a consequence of close collaboration with specialist trading partners and of the unwavering commitment to the company’s own retail activities in Leica Galleries, Leica Stores and Leica Boutiques. In future, Sales and Retail will operate in separate organisational structures to further increase efficiency and generate additional growth potential. With immediate effect, the global sales unit will be headed up by Steffen Keil (47) in his new function as Global Sales Director. He holds direct responsibility for the national subsidiaries and reports to Oliver Kaltner, member of the board at Leica Camera AG with responsibility for the areas Marketing, Sales and Retail. In his previous position as International Sales Director, Steffen Keil already successfully advanced the internationalisation of the company’s sales structures. The position at the head of the German national sales organisation will be filled by Falk Friedrich (41) who, in recent years, established and expanded international sales activities with trading partners in Europe, the Middle East and Africa with enormous success. In his former position as Head of Sales for Germany, Tim Pullmann (43) made a significant contribution to the growth of Leica Camera AG on the German market. He will now move to Retail to assume his new position as Head of Retail Leica Stores in Germany and Austria, and will hold responsibility for the Leica Stores in Frankfurt, Hamburg, Munich, Berlin, Wetzlar and Vienna.